It seems that Donald Trump didn’t have a negative effect on people’s travel plans. The number of international visitors to the USA has increased, so the travel industry doesn’t have reasons to worry. On the contrary, the travel industry has reasons to be thrilled. Record numbers of tourists are heading to the United States. What are your plans for the summer? Do you intend to get a glimpse of the American way of life? If the answer is yes, then you should better prepare. Continue reading to get the top tips for travelling to the USA. Any person seeking to enter the United States must obtain a visa. It doesn’t matter if you’re traveling for pleasure or business purposes. You need a travel document to get into the country, if your country isn’t on the list of states that are allowed to visit for a period of 90 days. Nowadays, you can apply for an American visa online. Millions of people apply for travel documents over the Internet and you should do the same. Start your US evisa application. All you have to do is to complete the online form and pay for the visa. It’s as simple as that. you have to pay the fee, regardless of whether the travel document is issued or not. Chances are that you’re wondering if Americans are friendly and if you’ll receive a warm welcoming. People in America are unusually friendly towards foreigners. In small cities, you can expect to be greeted on the street. What about major cities? People tend to be busy, so they don’t have the time to notice those around them. However, if you ask anyone for help, you won’t be turned down. Americans acknowledge the presence of others and they don’t hesitate when it comes to lending a helping hand. Don’t try to be too personal too soon. Politeness can sometimes be mistaken for friendliness. People in American don’t use words and phrases that are very informal. This only happens in the movies. They take speech very seriously and you’ll upset them if you use, say, abusive language. When in the United States, you have to speak properly. Avoid slang phrases and incorrect grammar. You do want to make a good impression, don’t you? Keep in mind that southern states have distinct vocabulary terms. Utilizing them won’t make you look immature or puerile, but it’s better not to take that risk. A long time ago, the Americans decided to preserve nature for posterity. The result is national parks that cover approximately 85 million acres across every country. The national parks are appreciated for their idyllic scenery and welcoming temperatures. Yellowstone is a great option, boasting in wildlife. The ecosystem has remained nearly intact, so it’s worth visiting. 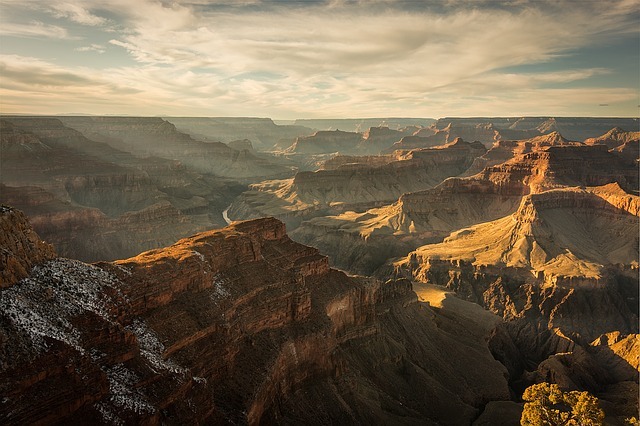 The Grand Canyon is yet another great example. It’s less crowded as compared to other natural preservations, not to mention that it’s stunningly beautiful. You haven’t seen anything until you see the sunrise at the Grand Canyon.